20pcs hardwood handle Bbq Tools Set including 2sets disposable tableware (knife,spoon,fork,plate,food grade PP glass ), 4pcs skewers, a Grill Cleaning Brush, a slotted spatula, a tongs, a knife, a bbq fork .All the Grill Tools are made from high quality stainless steel that won`t rust, won`t crack like quality do. Easy to use and dishwasher-safe.Keep the utensil sets stored in portable and convenient case. Take them with you when you are on the go travelling, camping or hiking.Enjoy your life from now on ! 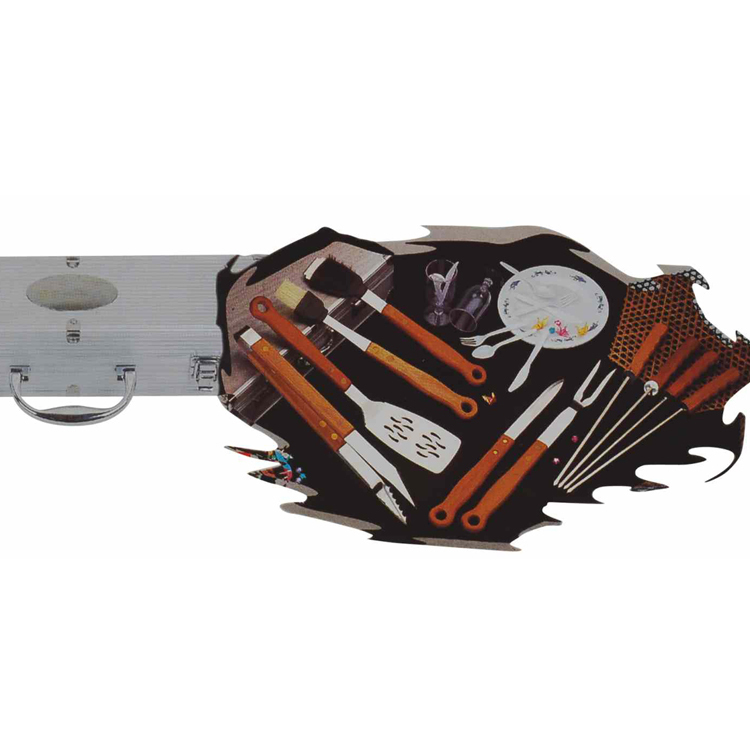 Looking for ideal 20pcs Harwood Handle BBQ Tools Manufacturer & supplier ? We have a wide selection at great prices to help you get creative. All the Wooden Handle Bbq Tools Set are quality guaranteed. 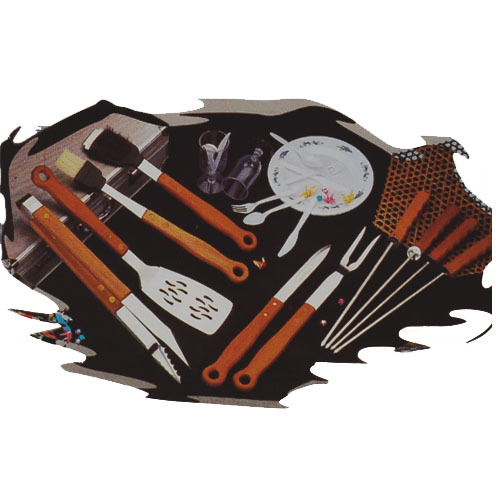 We are China Origin Factory of 20pcs BBQ Tools Set. If you have any question, please feel free to contact us.